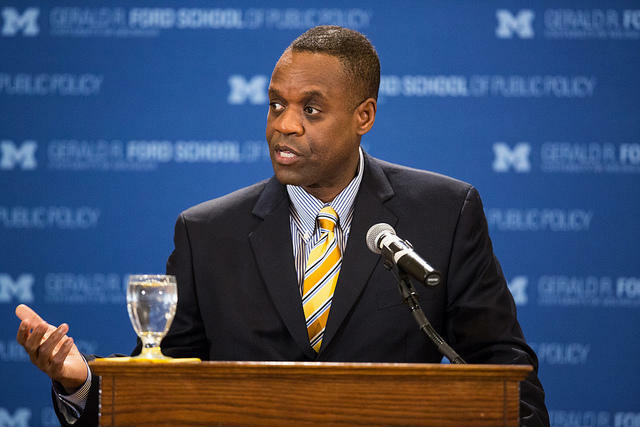 Kevyn Orr at the Detroit Economic Club. Orr said he regretted forcing cuts on city retirees, but insisted the bankruptcy code left him with no choice. He also detailed some of the behind-the-scenes work it took to make the so-called “grand bargain” reality. The grand bargain saved the Detroit Institute of Arts’ collection from the city’s creditors, while shielding pensioners from the steepest pension cuts. 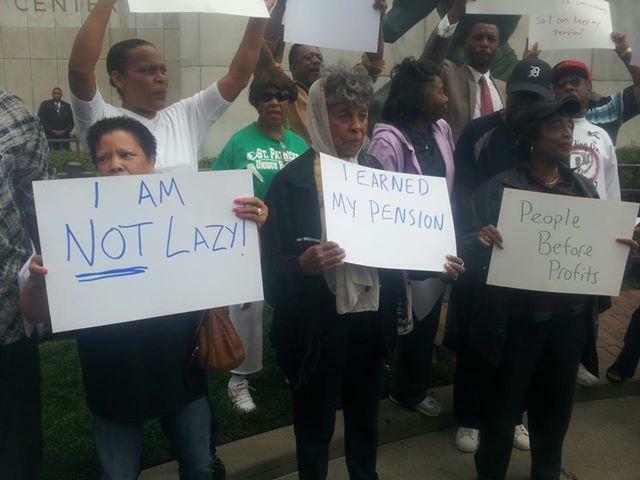 It combined $816 million in state and non-profit funds. Orr says it took a lot of philanthropic leaders and state lawmakers from outside Metro Detroit going out on a limb—something Orr said he brought up when he spoke in Grand Rapids this week. Orr also expressed faith in the fledgling Great Lakes Water Authority. 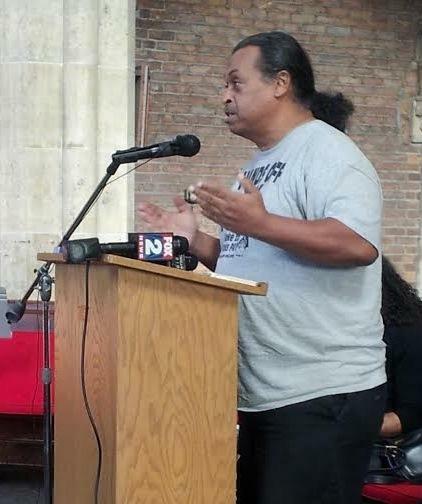 The tentative deal to regionalize Detroit’s water system was a key part of the city’s bankruptcy settlement, but has run into some stumbling blocks getting off the ground. Nonetheless, Orr said that “people of good faith” will work it out in the end. “The core benefits of the transaction are still there, [but] the details need to be worked out,” he said. He also revealed that he was happy to sell off Detroit’s City Airport to creditors during the bankruptcy—but there were no takers. Since wrapping up his work in Detroit, Orr has moved on to become a special advisor to the emergency management team running Atlantic City, New Jersey. 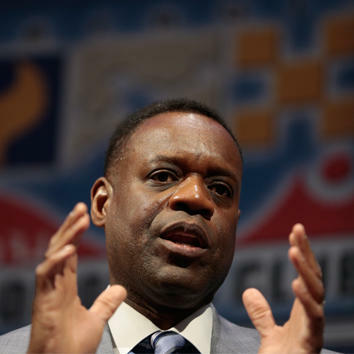 Detroit emergency manager Kevyn Orr resigned today. Gov. Rick Snyder had a little send-off for him in Detroit. Here to discuss that and other Michigan politics is the It’s Just Politics team, Rick Pluta and Michigan Radio’s resident political junkie Zoe Clark.